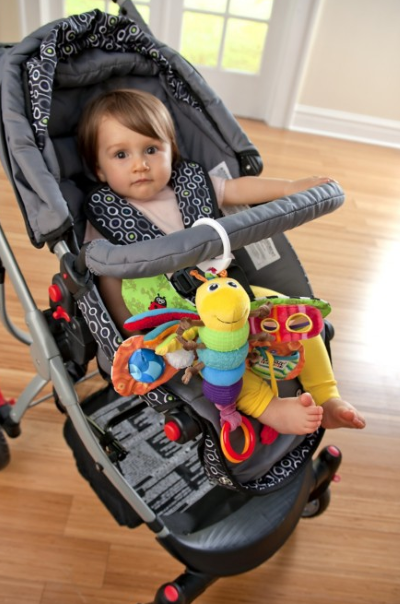 Freddie is filled with bright, bold colors and patterns that stimulate baby's vision. Crinkly wings and squeakers awaken auditory awareness. A hidden surprise behinds its wings keeps baby engaged. 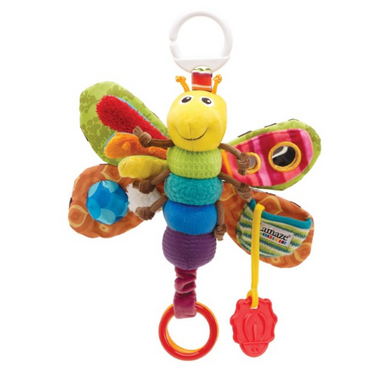 Additional features include a peek-a-boo mirror, attached teether and squeaker and peek-a-boo ladybug. This Lamaze Play & Grow character is made with premium fabrics and includes a Lamaze link, making it perfect for fun on-the-go play. Suitable for ages 0-24 months.